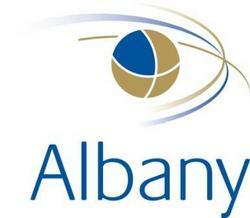 Contingent workforce management company Albany will be a sponsor of the 2010 Legal Update hosted by GMSHRM, to be held September 21st at the Hotel Sofitel in Miami, Florida. Albany Services, Inc. is a proud sponsor of GMSHRM’s 2010 Legal Update seminar being held at the Hotel Sofitel, Miami. The annual event, produced by the Greater Miami Society for Human Resource Management, focuses on the significant legal issues facing human resource professionals in today’s workplace. The daylong seminar features a range of well-known labor and employment attorneys speaking on a range of relevant topics including recent Employment Law Updates, Health Care Reform, Internal Investigations, FMLA, Wage and Hour, Telecommuting, Virtual Workplace, FMLA, Counseling and Terminating Protected Employees and Independent Contractor Misclassification. This year’s addition of Independent Contractor misclassification to the agenda is reflective of the upsurge of legislation and enforcement by both federal and state agencies around the use of contract workers. “With the legislative environment becoming ever more daunting for companies, Albany is excited to be able to contribute to educating HR professionals around the legal minefield of engaging contingent labor”, said Fort Lauderdale based Jason Posel, Albany’s SVP, Strategy and Solutions. “Engaging contract workers can help companies achieve their goals and often makes good business sense. This event gives us the opportunity to demonstrate how we help them efficiently engage and manage the talent they need, while mitigating the risks associated with contingent labor”. Albany is a leading HRO with a focus on the contingent labor market. With 17 years of experience our contractor management and payroll programs include: Employer of Record (Albany hires your contractors as our own W-2 employees); Agent of Record services (billing and payment consolidation for Independent Contractors); Direct Source (leveraging your brand to drive internal recruitment); and Independent Contractor compliance solutions. With Albany, companies can efficiently and cost-effectively engage, retain and manage the talent they need, while mitigating the risks associated with contingent workers.